Long ago in a place called Ibalon, there lived a beautiful maiden. Her name was Daragang Magayon (the lovely one). She was the daughter of Makusog (the strong one), chief of the tribe. One day, Daragang Magayon strolled near the river. While crossing the river, she stumbled on a rock and fell quickly in the water. She was swiftly swept down stream by the current. “Help! Help me!” she cried. Fortunately, her cries were heard by Pangaronon (the proud one) and his bodyguard Amihan (the cold one). Pangaronon jumped into the river and saved Daragang Magayon. Her beauty immediately captivated Pangaronon. He realized that he had finally met the perfect woman for him. At the same time, Daragang Mayon was instantly attracted to him. Panganoron asked Makusog’s permission to marry Daragang Magayon. But Makusog could not permit them to marry. Tribal law forbade marriage outside of the clan. As tribe leader he had to enforce the law. Yet, as a father, he wanted to make his daughter happy. Meanwhile, Patuga (the eruptive one) learned about Panganoron’s intention. Patuga was the most ardent suitor of Daragang Magayon. For years, he had been convincing her to marry him, but to no avail. One night, Patuga and his cohorts kidnapped Makusog. Then, he sent word to Daragang Magayon that her father would die if she did not marry him. Without a choice, she acceded. Only then did Patuga release Makusog. Soon Patuga and Daragang Magayon were wed. But in the midst of the merrymaking, pandemonium broke out when Panganoron and his men arrived. Fighting ensued between teh two tribes. In a few minutes, Panganoron fatally struck Patuga. However, during the skirmish, a poisoned arrow shot from nowhere, fell on Daragang Magayon’s breast. Panganoron rushed to her aid and as he kneeled over the dying Daragang Magayon, an enemy hacked his head off. After the battle, Daragang Magayon was buried and her death was mourned all over the land. Where she was put to rest, a mountain mysteriously appeared. This mountain is now known as Mayon. It is said that even in death and in another form, she is still haunted by the men who loved her. When Mayon is said to erupt, this is Patuga challenging Panganoron. But when Mayon is calm, Panganoron is embracing her. The tears of Panganoron are shed as rain at times in his grief. 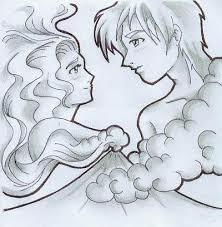 Until today, many are still delighted by the love story behind the legend of the Mayon Volcano. Source: Local Government of Albay Pavillion, Philippine Travel Mart 2009. If you find this post helpful and informative, feel free to SHARE it. We’d love to know what you think about this post. Feel free to leave your comment. We do reply to each of your messages or questions so please come back if you’ve left one. 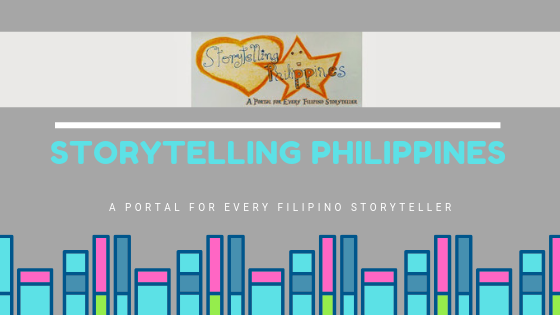 Filipino FolkloreFilipino Folk TalePhilippine Legend StoriesPhilippine Folk StoriesBakit mainit ang haring araw? Bakit maganda ang buwan at mga bituin? Saan sila nagmula? Ayon sa kwento ni Impong Tasyo ganito sila nagsimula. Noong unang panahon, malapit ang langit sa lupa. Nag-iisang lalaki at nag-iisang babae ang nakatira sa mundo. Ang pagtatanim ng palay ang kanilang ikinabubuhay. Noon, binabayo nila ang palay bago magsaing. Kung ano ang hirap ng pagtatanim ay ganoon din ang hirap ng pagbabayo ng palay. Potterheads if you haven't heard Scholastic PH warehouse sale last December well you better watch out the next awesome sale they had. Drool over from these book haul we got from that book sale warehouse. Harry Potter paparback and hardbound books are on big cut-off price! May isang putakti na lagi gumagawa ng matamis na pukyutan. Ipanagkakapuri nya ito. Naghahandog sya nito kay Jupiter, ang diyos ng mga diyos. Sinabi ni Putakti sa sarili, "Masisiyahan si Jupiter sa aking kagandahang loob. Ang regalo ko ay masarap at matamis. Ako'y hihiling sa kanya ng isang bagay." Nagmamadaling pumunta si Putakti sa bundok na tirahan n Jupiter. Tinaggap ni Jupiter si Putakti nang buong kagalakan. Nagpasalamat siya kay Putakti dahi sa handog nito. Tips to make your book hunting more fun! Book for Less Warehouse Sale will runs annually. Location is in Pasig City. Thousands of books at Php20 each. How to get to Book for Less warehouse: Direction and instruction as prepared by BFL team. From Shaw Blvd. (EDSA Central) - take jeepney going to pasig palengke or san joaquin rotonda(fare P10). Take tricycle going to La Consolacion. Bakit pulo-pulo ang Pilipinas? Ayon kay Lolo Ambo, isang mahabang kapuluan ang Pilipinas noong unang panahon. Sadyang mayaman at sagana noon ang ating kapuluan. Mag-asawang higante lamang ang nakatira rito. Hindi sila nagtatanim, hindi sila nagluluto. Kinukuha na lamang sa paligid ang kanilang pagkain. Isang umagang maganda ang panahon, nagkasundo ang mag-asawa na kabibe ang kainin sa tanghalian. Masayang lumusong sa dagat ang mag-asawa. Maliliit na kabibe ang kanilang napulot sa mababaw na bahagi ng dagat. Hindi nasiyahan ang lalaking higante, kaya dumako siya sa malalim na bahagi ng dagat. Kaagad siyang nakakita ng malaking kabibe. Binuksan niya ito. Ano ang kaniyang nakita? Isang maliit, makintab, bilog at kaakit-akit na bagay. Isang perlas! Patakbo niyang ipinakita ang natuklasang perlas sa asawa. Once upon a time, there was a woman who lived with her daughter Pina in a tiny hut in the village. They were poor, and the mother worked day and night to make both ends meet. No matter how hard she worked, though, she never got any help from her daughter. Pina was a lazy, spoiled kid who liked to play in the backyard all day. Whenever her mother asked for help around the house or tried to send her on an errand, she would always find an excuse by saying she can’t find the object that was needed to complete that task. If her mother asked her to sweep the house, for example, she would say she cannot find the broom, even if it was right there in front of her. Needless to say, her mother always ended up doing the work herself. Teaching reading is a dynamic activity. In a kindergaten classroom, I integrate the target lesson for the day, play, critical thinking, creativity, and values formation with our daily story reading. Using books and storytelling in the classroom is literature-based teaching. All photos and text used in this blog are owned by storytellingphilippines.com, unless otherwise stated. Any reproduction, be it for personal or commercial purposes without the author's permission is strictly prohibited. If you intend to use any of the photos or text from this blog, please e-mail Green Dei at storytellingphilippines(at)gmail(dot)com.